Hi folks, we have another publication update to share. A little late, this interesting observation was originally shared in the IUCN/SSC Bear Specialist Group‘s spring newsletter by Laurie and Sheema. 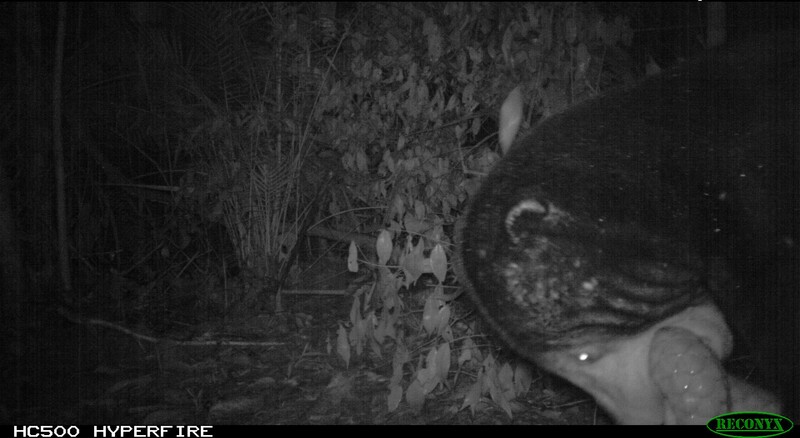 It has something to do with the photo above…can you spot the pangolin in the shot?? Hedges L. and Abdul Aziz S. 2013. A novel interaction between a sun bear and a pangolin in the wild. International Bear News 22(1): 31-32.